Innovations like TheWaveVR are already building the OASIS. Achieving the level of virtual reality immersion we see in science fiction like Ready Player One isn’t a question of if so much as when. The various technologies are mostly already here. We’re just waiting for a real-life James Halliday to refine and bring them all together in a converging digital multiverse. And the people who are trying to make that technology a reality are taking their inspiration directly from Ernest Cline’s mega-popular novel, even if their true catalyst is music. In both Ready Player One the novel and the forthcoming film, millions of people around the world immerse themselves in a fully interactive world — the OASIS — without ever leaving their homes. It’s a familiar science fiction trope for anyone who loved The Matrix or Tron. The difference is that actual VR tech is poised to birth a real OASIS soon. The OASIS only costs 25 cents to use and operate mostly because its brilliant creator James Halliday wanted the masses to have easy access. Players log on using affordable VR visors and haptic gloves, but for the more affluent, full-body suits that simulate realistic touch sensations and haptic rigs that help simulate motion are possible. The story’s protagonist Wade Watts gets a school-issued OASIS console, haptic gloves, and visor as part of the public education system. Wade Watts (Tye Sheridan) in 'Ready Player One' with his school-issued OASIS gear. One of the people trying to make this vision of VR possible is Adam Arrigo, the CEO and co-founder of TheWaveVR, a virtual platform that lets musicians broadcast themselves in a “virtual club.” Arrigo tells Inverse that Ready Player One is almost required reading for being in VR, because it’s the type of technology they’re all aiming for. The inevitable real-life OASIS will include everything from world-building, private chatrooms players design, and wholly customizable avatars. Many different technologies and video game types fused into one. TheWaveVR fits into the OASIS in a pretty clear-cut way. The 'Ready Player One' dance club scene as depicted in the movie. “Our thesis has always been to use VR to create experiences that are impossible in reality,” Adam Arrigo explains. This is a sentiment you hear a lot from leading pioneers in VR, and it’s one echoed by Mike McTyre, the design director at Survios, a video game developer obsessed with building immersive new VR experiences. In 2017, McTyre told Inverse that true power of VR isn’t about simulating reality, it’s about creating extra-real experiences. “People want to do something [they] can’t do in real life,” McTyre said. Warner Bros. recruited TheWaveVR to work with HTC Vive on developing an immersive Ready Player One VR experience at SXSW earlier this month. Anyone in attendance — and players around the world with TheWaveVR on their home units — were able to dance in a zero-gravity virtual reality nightclub. 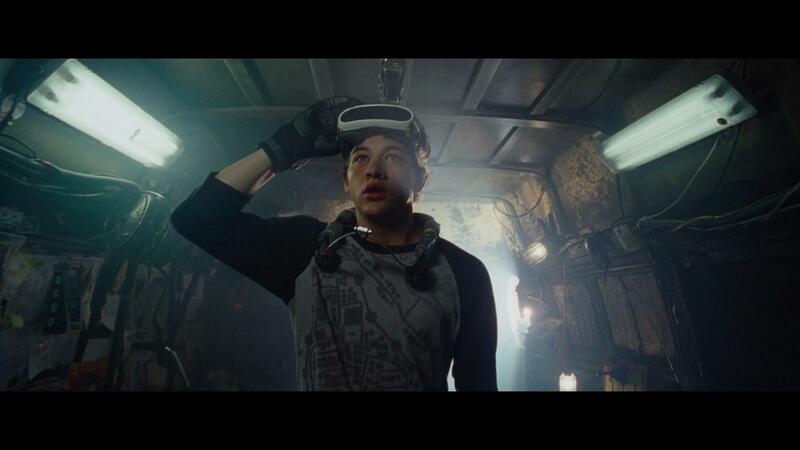 In a bizarre blend of sci-fi and reality, Actor Tye Sheridan DJ’d a set onstage while hooked up to a VR headset so those inside the club would see his OASIS avatar Parzival. 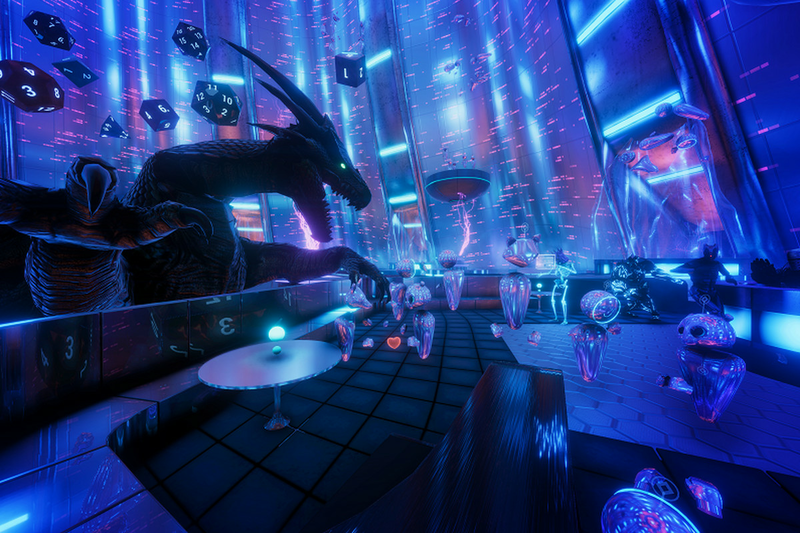 TheWaveVR's digital nightclub used the actual visual assets from the 'Ready Player One' movie to rebuild the scene. The kick-off event was simulcast around the world and is now available through TheWaveVR’s platform on Steam. Though Wave VR’s “virtual club platform” is built primarily for musicians, the user base has expanded to encompass all kinds of social spaces ranging from parties to interactive presentations. TheWaveVR is only one piece of the grand puzzle that will one day form into an OASIS-like digital world. In order to make it a reality, you need haptics, too. Even here in the real-world, haptics represent a growing area of technology that simulates the sensation of touch by applying forces, vibrations, or motions to the user, like when you feel like you’re clicking a button on your phone’s screen. But in Ready Player One, peak haptic technology means a full-body suit that makes VR experiences feel like they’re really happening. Wade Watts gets an upgraded full-body haptics suit later in the 'Ready Player One' movie. Tech company HaptX has already developed a VR textile with realistic haptic feedback. “The vision for the technology, what it’s capable of, is something that we believe in,” Greg Bilsland, Communications Manager at HaptX, tells Inverse. He makes it clear that the physical feedback Wade feels in Ready Player One represents the exact kind of sensation they are trying to create. HaptX’s textile utilizes tiny haptics pixels across the fabric that can inflate or deflate to simulate various sensations. “Because the textile uses air, it’s actually quite scalable,” Bilsland explains. It’s just a matter of streamlining the technology and making it lighter. For the time being, Bilsland and his colleagues are focusing on perfecting a pair of gloves, but a full-body suit seems inevitable. 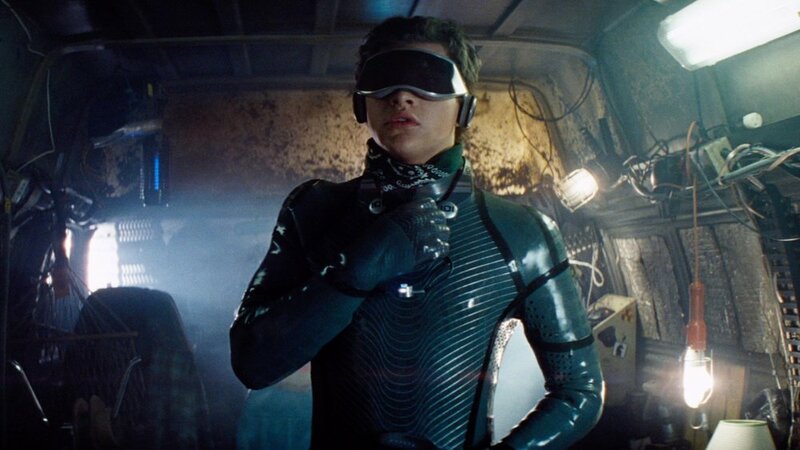 HaptX's eventual vision looks a lot like what's depicted in 'Ready Player One'. Random OASIS players in 'Ready Player One'. What director Steven Spielberg imagines right now in his film adaptation of Ready Player One, however, is pretty incredible. He sees the kind of VR presented in Ready Player One as a kind of “superdrug” looming in our future; one that, before long, we’ll all be obsessed with. 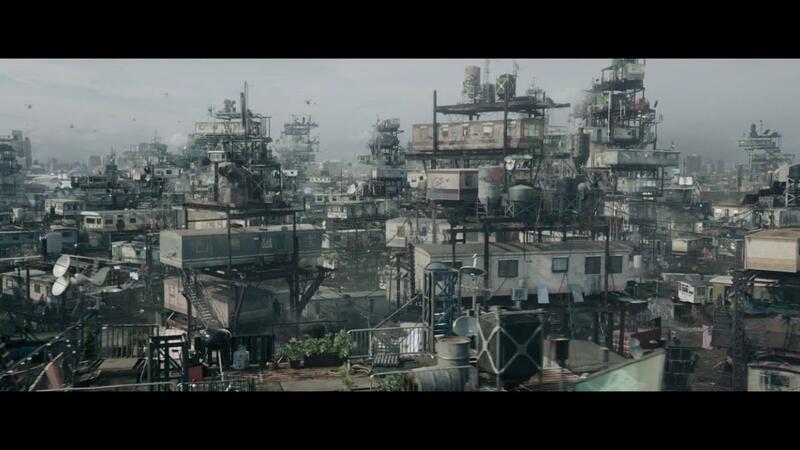 Some people already consider video games a dangerous addiction, but in Ready Player One the obsession is exacerbated by an impoverished world lacking in resources. Because the OASIS is so accessible and the possibilities endless, countless people bury themselves in the game rather than live in towering skyscrapers made of strapped-together trailers. Wade Watts lives in "The Stacks" which are literally just stacks of trailers strapped together. 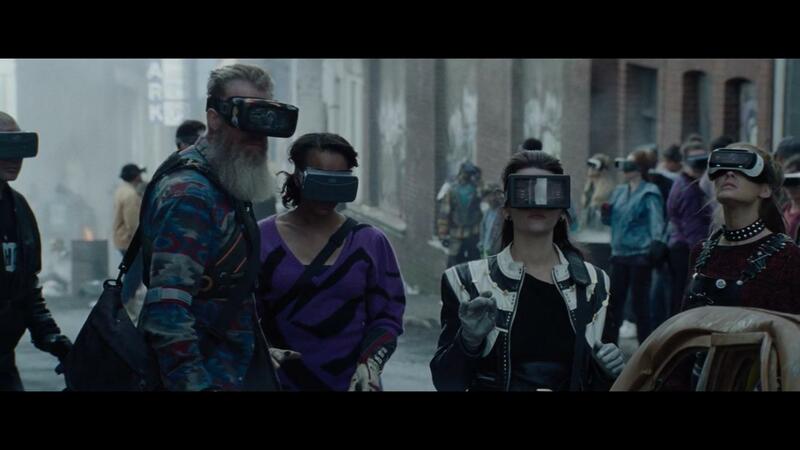 So which part of Ready Player One might the real-world catch up to first: The crumbling dystopian economy or the totally awesome virtual reality multiverse? Let’s all hope for the latter. Ready Player One hits theaters on March 29, 2018.